We will then join the POSTCODE table with the SALES_Q1_LOC table. The code below creates a new table called SALES_Q1_LOC_POC. 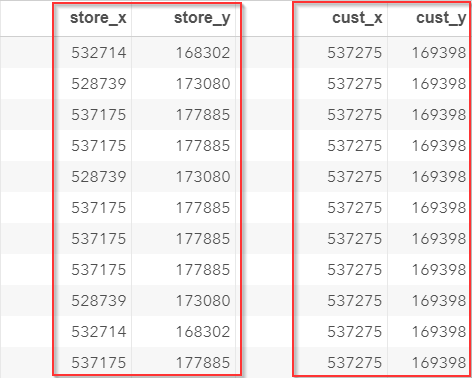 The CUST_X and CUST_Y columns are the easting and northing coordinates for the customers' addresses.